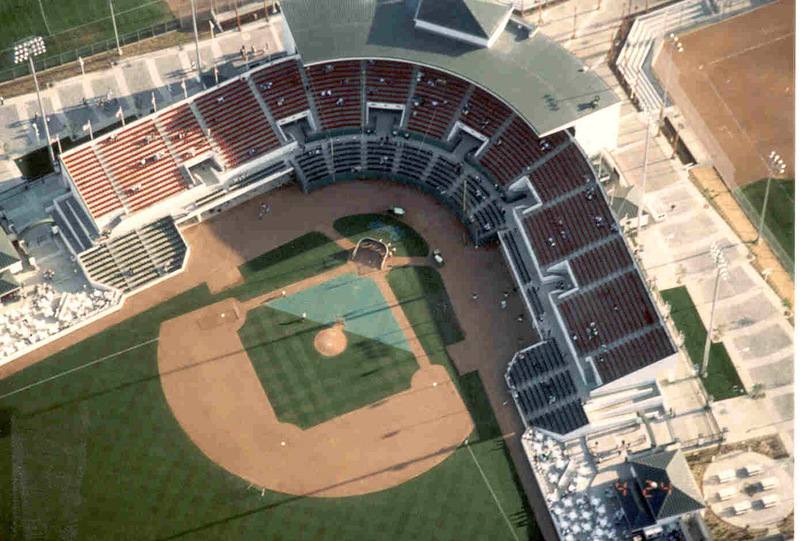 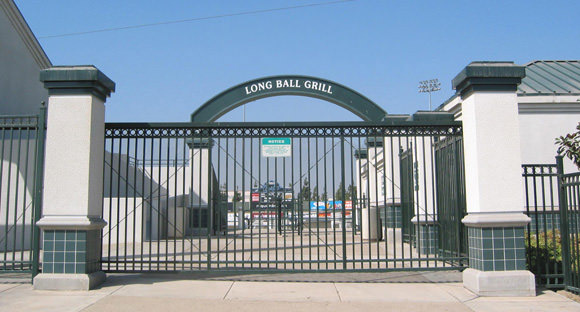 The Rancho Cucamonga Epicenter is home to the Quakes, a minor league Class A Advanced team in the California League and a farm team of the Los Angeles Dodgers. 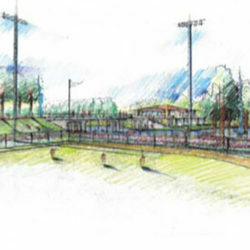 The multi-use sports complex includes a 6,000-seat professional baseball stadium, an elevated pedestrian concourse, three adult league ball fields, adult soccer fields, parking areas, an innovative touch pad field lighting system, and maintenance yard. 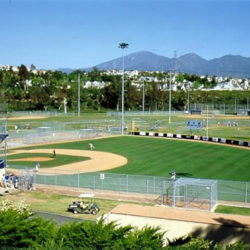 The arena is used for a variety of sporting events, concerts, and large regional and community gatherings. 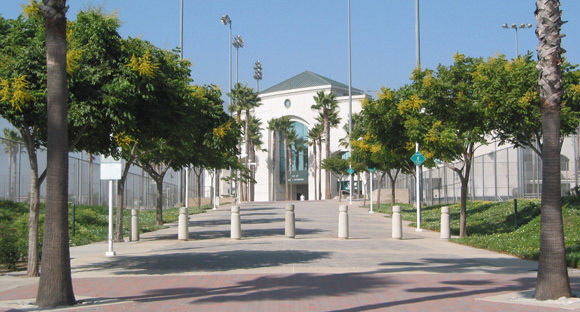 The “California Classical” style stadium concourse was oriented to allow maximum daylight, providing a comfortable outdoor feeling, as well as dramatic views of the San Gabriel Mountain Range. 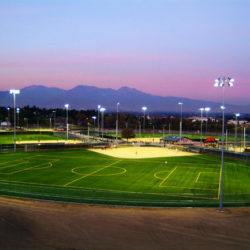 The Quakes Stadium Sports Complex sparked unprecedented “home team” pride and community spirit in the City of Rancho Cucamonga. 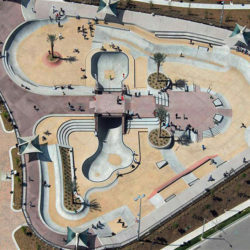 The project was designed to maximize the number of fields and minimize the amount of hard surface covered by buildings in order to provide the largest amount of ground surface for percolation and to minimize runoff. 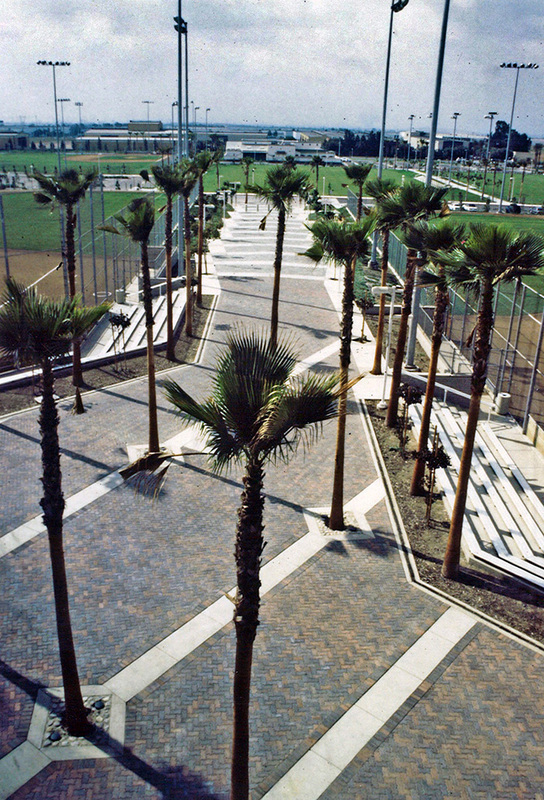 Native and drought resistant tree, shrub and groundcover materials were utilized throughout the complex to minimize the amount of water usage.